New Point book - Mathews County Historical Society, Inc. 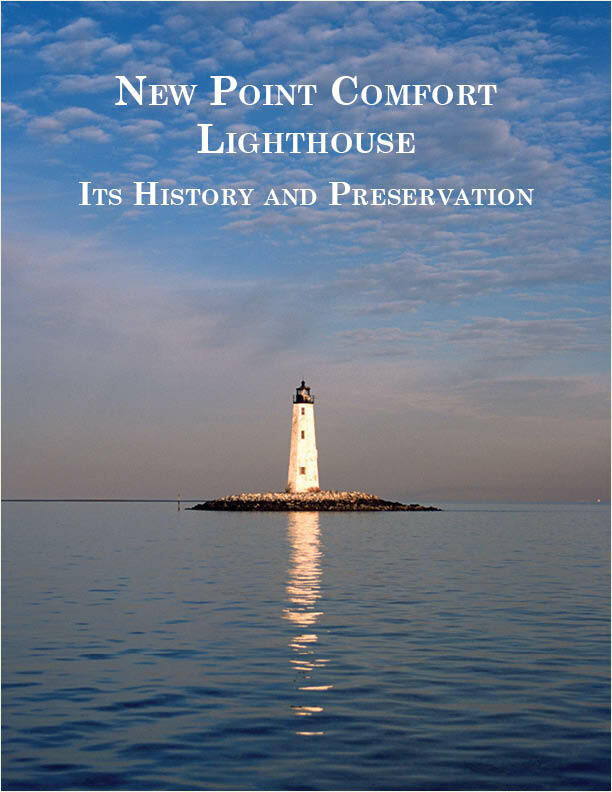 The Mathews County Historical Society, Inc. (MCHS) announces the publication of its new book, "The New Point Comfort Lighthouse Its History and Preservation," by author Mary Louis Clifford. This book is a tribute to the lighthouse keepers who manned this lighthouse, their families, the County of Mathews and its residents and their part in the maritime history on the Chesapeake Bay. Starting with a March 3, 1801, Act of Congress to build a lighthouse between Old Point Comfort and Smith's Point, New Point Comfort Lighthouse evolved. It was first lit in 1805 and manned by its first lighthouse keeper Elzy Burroughs, its builder. The book traces the lighthouse's history from construction to preservation efforts of today. Included within its chapters are old photographs and correspondence, the role of New Point Comfort Lighthouse during the War of 1812 and the Civil War and the keepers of the light. Now the property of Mathews County, New Point Comfort Lighthouse was maintained as a beacon of welcome and protection until 1963. Author Mary Louise Clifford has published over twenty books with several about lighthouses. Researcher and book designer J. Candace Clifford is a lighthouse historian. The book is sold locally at the Mathews County Visitor and Information Center, 239 Main Street, Mathews, or can be ordered by mailing a check (made out to MCHS) to Mathews County Historical Society, P. O. Box 855, Mathews, VA 23109. Hard cover books are $28 plus $5 VA sales tax and shipping and soft cover books at $20 plus $4.50 VA sales tax and shipping. Proceeds from the book benefit the preservation of the New Point Comfort Lighthouse.